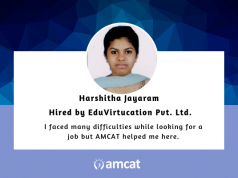 'I am a Computer Science Engineer aspiring to work in the banking and financial sector', shared the B.Tech graduate in this week's AMCAT testimonial. A computer science engineer, who found herself hired by HDFC Bank, courtesy the AMCAT Test? Yes, that is the story that we’re going to talk about today amid AMCAT testimonials. What’s more, she had been aspiring for this industry, for this role. “I am a Computer Science Engineer aspiring to work in the banking and financial sector”, begins Sneha Iyer, as she patiently shares her journey with us. A B.Tech graduate from Mumbai’s Universal College of Engineering in Vasai, she took the AMCAT Test at her campus. Convinced that she had gotten it right, she then waited for the interview calls to begin. 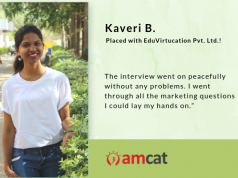 “I got my first interview call 2-3 weeks after giving AMCAT.” And as she went through them, she got the call. The one which ensured that she was hired by HDFC bank. 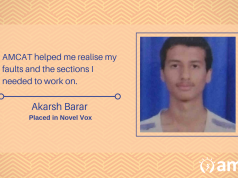 “It was a great experience interviewing at HDFC Bank.” Despite there being so many people at the interview, she was impressed by how smoothly the interview process went. It helped ease a lot of pressure as well, especially in reference to those candidates who had commuted from far away places.